London’s Gatwick Airport has launched a new feature for their app, allowing travelers to access a digital map which shows their location. Similar to Google Maps, the traveler’s location is clearly marked as a blue dot and moves when traveler’s phone does. Officials at the airport keep the system accurate by having installing over 2,000 Bluetooth-powered beacons throughout the two terminals. These beacons also assist airport employees to keep them informed about areas receiving an influx of travelers, allowing them to prevent congestion. 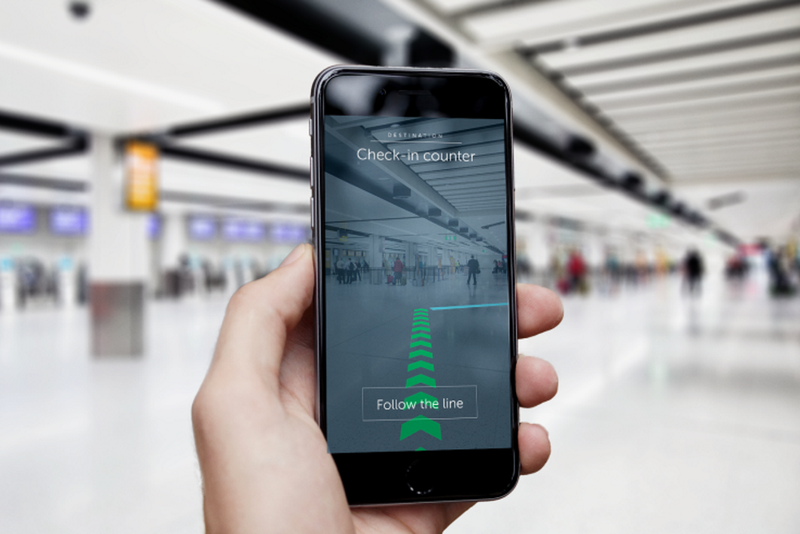 In the future, Gatwick intends to launch an augmented reality version of the digital map for travelers to receive turn-by-turn directions to their destination. London’s Gatwick Airport has launched a new feature for their app, allowing travelers to access a digital map which shows their location. Similar to Google Maps, the traveler’s location is clearly marked as a blue dot and moves when traveler’s phone does. Officials at the airport keep the system accurate by having installing over 2,000 Bluetooth-powered beacons throughout the two terminals. These beacons also assist airport employees to keep them informed about areas receiving an influx of travelers, allowing them to prevent congestion.